Is It Safe To Give Dogs Spirulina? Home > Blog > Remedies > Is It Safe To Give Dogs Spirulina? Did you know that spirulina is bacteria? Most people think spirulina (Arthrospira platensis) is a type of alga, but it’s actually a type of bacteria called cyanobacterium. What makes spirulina so special? A blue pigment that allows the bacteria to produce their own food through photosynthesis, like a plant. Spirulina is a nutritional powerhouse that is more than 50 percent protein and packed full of life-giving chlorophyll. It’s a dense source of vitamins, minerals, amino and omega-3 fatty acids, enzymes and trace minerals. You can use it for yourself and your pets to treat a myriad of issues like inflammation, cancer, nutritional deficiencies, immune support, bacterial and yeast overgrowth and radiation exposure. … but the bad news is there are many cheap spirulina products out there that can harm your dog. I’ll show you how to feel confident that the spirulina you’re feeding your dog is good quality. But first, let’s consider how spirulina is grown. Commercially, spirulina is cultivated in China, Australia, Thailand, Taiwan, some African countries, India, Mexico and the United States. Spirulina is grown in ponds and other warm bodies of water where it’s collected, dried and made into powders and tablets. Some companies grow their spirulina under strictly controlled conditions while others cut corners to save on costs. Spirulina needs sunshine and has to be grown outdoors. A pollution-free environment and clean water are essential for high quality production. But companies that grow their spirulina in lakes, ocean water and natural waterways can’t control the amount of pollutants in their product. Some of these same companies can also sell other species of blue-green algae as spirulina. This practice is very dangerous. This type of so-called spirulina is usually from low cost, third party suppliers in countries where production is unregulated. When spirulina is grown in contaminated water or when you purchase other species of blue-green algae thinking it’s spirulina, terrible health problems can result from contaminants like microcystins, neurotoxins, hemotoxins, and heavy metals. Microcystins are one of the most common contaminants of spirulina along with heavy metals. They are a group of amino acids that attack the liver. They can also cause skin, eye and throat irritation. To avoid these little pollutants, legitimate companies grow their spirulina in a high pH (between 10 and 11) environment. Found in different types of blue-green algae, neurotoxins and hemotoxins are nerve and blood toxins that damage tissues and organs. Neurotoxins damage tissues within the central nervous system; they’re produced by certain bacteria. BMAA (beta-N-methylamino-L-alanine), a neurotoxin found in blue-green algae, is a non-protein amino acid that creates faulty proteins within cells and destroys them like a cancer. There are some hypotheses that it may be a potential cause of diseases such as ALS and Parkinson’s. Hemotoxins injure the membranes of red blood cells and can severely damage internal organs and other body tissues. This is why it’s so important to make sure that the product you’re buying as spirulina is the real deal. Heavy metals can be found at concentrated levels in spirulina if the water it’s grown in has been contaminated. In 2013, a study published in the Saudi Journal of Biological Sciences noted that lead, mercury, cadmium, and arsenic were found in over 25 of the spirulina products they sampled. When choosing spirulina for your dog or yourself, make sure you do your due diligence. Don’t assume that just because the product is sold on sites like Amazon or Vitacost that it’s from a reliable source. If you ask, most companies are going to tell you that their product is the best. Don’t believe them … ask for proof and do your research. Research the company – Make sure the company has a phone number and email address so you can request information from them. Be suspicious of third party spirulina – You’ll see these products being offered by brands that you already know. Does the brand produce its own spirulina? I doubt it. These companies purchase their spirulina through a broker or directly from the producer. For example, Japan imports spirulina for use in various products that are then exported. Look for spirulina that’s been tested by a reputable, qualified, independent third party – The NSF (National Sanitation Foundation) seal is a good example of third party certification. You can also look for the USP (US Pharmacopeial Convention) seal. USP Verified dietary supplements are products that have been voluntarily submitted to the USP Dietary Supplement Verification Program and have successfully met the program’s stringent testing and auditing criteria. Ask the company for their Certificate of Analysis (COA) – A COA gives you information on product quality and origin. Every spirulina company should have a COA that tells you how pure their products are and where they are sourced from. Along with the COA, ask the company about the pH level of their growing ponds. The answer must be ten or above. Check your ingredients – If you’re purchasing your spirulina online, like many of us do, make sure the label is available for viewing. You should look for spirulina that’s free of additives, preservatives, fillers, and added colors. Check your dog’s supplements and treats – Many nutritional supplements and treats contain spirulina. Always ask the manufacturer where they source their ingredients. Don’t price shop – High quality spirulina is expensive to produce. If the price is too good to be true, don’t buy it. Inspect your purchase – Spirulina should smell like fresh seaweed, be solid, matte, and dark green in color and have the consistency of finely milled flour. If your spirulina contains moisture, has a shiny appearance, or smells rancid, don’t use it. Just say no to pollution – Spirulina must have direct access to the sun and be grown outside. Checking the pollution levels in the producer’s area is a good thing to do if you’re a Sherlock like me. For example, if the company you’re researching grows its spirulina in the smog laden city of New Delhi, India, it would be best to avoid their product. Do I use spirulina for my animals? You bet. Am I careful where I source my spirulina? Absolutely. As caregivers, we have to be especially mindful because dogs are like small children. They have a much lower body weight than we do, which puts them at greater risk for contamination related illnesses. This goes for any supplement that we feed our pets. The key to using supplements safely is to find the purest supplement you can buy, taking extra care as to dosage amounts. 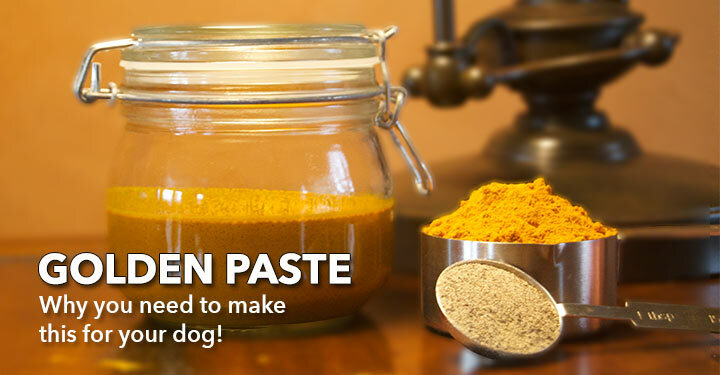 Try to give your dog an occasional break from supplements. Anything can cause damage if given every day long term – even whole foods. When I stop my supplements for a specific period of time, I call it a therapeutic break. I strongly believe that the on-again, off-again cycle helps the body stimulate and heal itself. Therapeutic breaks are a great way to minimize risk and to observe how the body responds. It’s a good idea to start out using spirulina as your dog’s only supplement to see how she reacts to it. The dosage I like to start out with is one-eighth teaspoon for every ten pounds of body weight. Spirulina is very concentrated and a little goes a long way. For acute issues that respond to a super nutrient like spirulina, higher doses can be used, but only for a short period of time. I highly recommend spirulina for short term healing and as a nutritional supplement. However, it’s very important to know how to use it safely and to purchase the highest quality spirulina available. As with all supplements, herbs and food, knowledge is power.